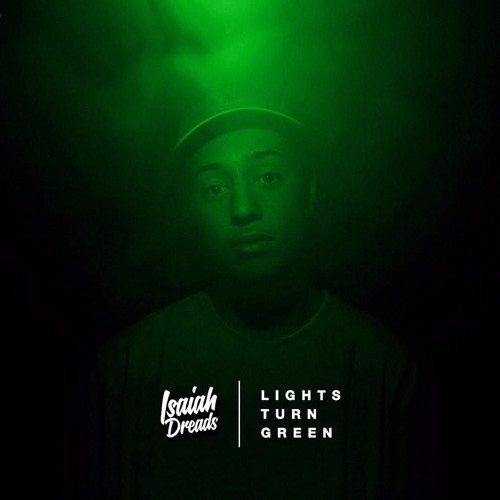 Dorset MC Isaiah Dreads finishes a productive year with the release of ‘Lights Turn Green’, the follow-up to ‘Nothin But A Mixtape’, which dropped at the start of 2015. The twelve track project showcases a diverse range of styles; Dreads can flow on classic, hip-hop production as well as coming with energetic, hard-hitting bangers too. The title track, which features legendary MC Saskilla, is an early highlight; the catchy hook and trap production thumps as Dreads and Sas drop with precision and intensity. The ‘Hell On Earth’ remix, featuring Agent (the underrated South West spitter has previously impressed on the Don’t Flop battle circuit), follows; the two MCs drop passionate, personal lyricism over the classic Mobb Deep instrumental, and the eclectic sonics displayed across the early section of the mixtape is impressive and engaging. ‘Fall Back’ is another favourite, and Dreads’ witty writing is on top form, as he drops in a dope Sway reference and a bunch of nice punchlines with his distinctive Dorset twang. ‘Your Love’ is a tightly executed soulful cut; the chopped vocal samples and Dreads’ charismatic delivery combine to make the track a cool and classy standout. The energetic ‘Work’, a switched up refix of A$AP Ferg’s 2013 banger, is another impressive song and once again confirms the diversity in Isaiah’s skill-set. ‘Lights Turn Green’ finishes with ‘How About Now’, a smooth jazzy track which is an absolutely perfect closer; Dreads’ uptempo, percussive delivery and the spacious production are both professionally and flawlessly executed. Isaiah Dreads has definitely proven why he’s one of the ones to keep a very keen eye on over the course of the last year. ‘Lights Turn Green’ is his second mixtape, and at just eighteen, his experience and success-rate will definitely stand him in good stead going into 2016. Over the twelve tracks on this project Dreads showcases his intelligent lyricism over varied styles of production, and not once does he fail to impress.